Well it was bound to happen sooner or later. If you haven’t herd of what this is, shame on you! 31 Days of Halloween is where you watch a horror film everyday in October. Well, this year I have decided I will watch only flicks I haven’t seen before. That means none of the staple films that come along when people think of scary movies. 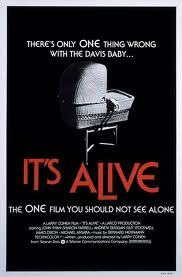 No Jaws, Friday the 13th, Night of the Living Dead, Amityville Horror etc. Need lees to say Halloween and Trick’r Treat will be watched of course on the 31st, but that shouldn’t count towards your 31 new films. 1. 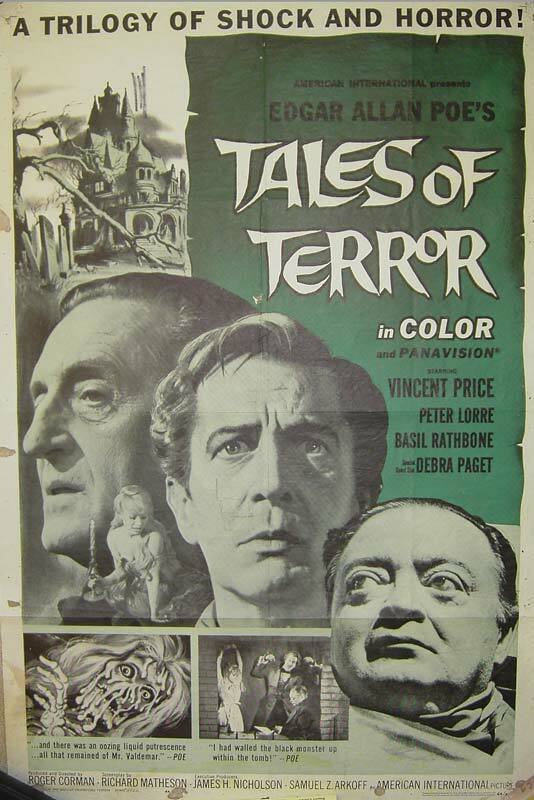 Tales of Terror (1962) Vincent Price. Nuff said. Director Peter Medak rewrites history in unimaginable ways by proposing that George Washington — the celebrated father of our country — was actually a homicidal maniac. 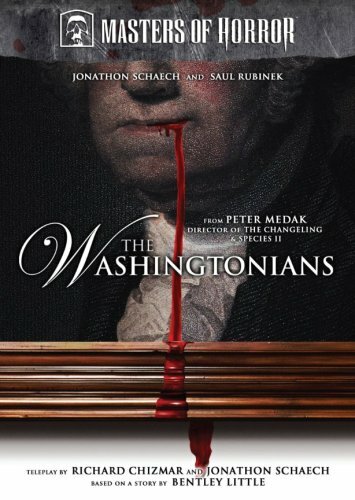 Originally released as an episode of the “Masters of Horror” series, this chilling tale takes poetic license in exploring the roots of the Washington family tree, even positing that the former president used those trademark wooden teeth for eating something other than all-American apple pie. A priest (Hugh Quarshie) and a young girl (Asia Argento) are all that stand between the world and a torrent of satanic forces in this creepy tale from Italian horror maven Michele Soavi. In the 13th century, the crusading Knights Templar slaughtered a village of suspected devil worshippers and erected a grandiose cathedral atop the corpses. 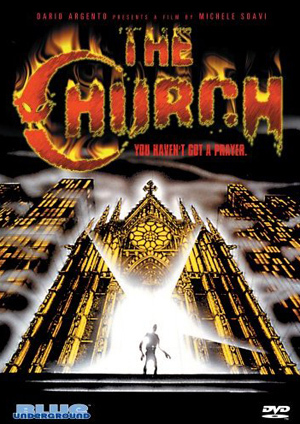 But the opening of a sealed crypt 700 years later unleashes their unholy spirits inside the church. 5. Masters of Horror Dario Argento: Pelts (2006) Gore! Gore! Gore! Sleazy fur trader Jake Feldman (Meat Loaf) will do just about anything for a quality skin. When Jake crosses paths with a trapper (John Saxon) offering raccoon pelts, he jumps at the chance to score big bucks and win a stripper’s heart. Little does Jake know that the supernatural furs wield bloody revenge upon anyone who covets them. This very different kind of skin flick is the 19th episode of the hit Showtime series. 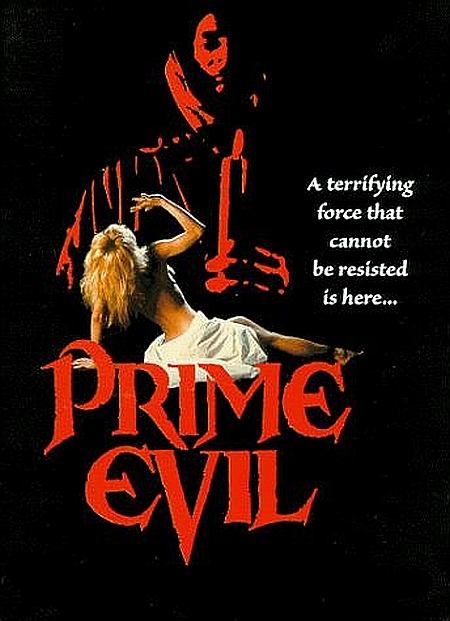 Blending gore and giggles, director Larry Cohen’s cult classic follows Frank and Lenore Davis (John P. Ryan and Sharon Farrell), an ordinary couple who produce an extraordinary baby — a fanged mutant that sets off on a killing spree to survive. Determined to destroy the child, an anguished Frank joins a citywide hunt for the little monster but suddenly has second thoughts and defends his hideous offspring. Guy Stockwell also stars. In exchange for immortality, an ancient sect of satanic monks agrees to honor their dark lord with a blood sacrifice every 13 years. But in the modern era, finding bodies for the altar is not so easy. Setting up shop in New York City, the devil worshippers search for their next ceremonial victim. William Beckwith stars as the leader of the cult, and Mavis Harris is the nun who’s on to his diabolical deeds. 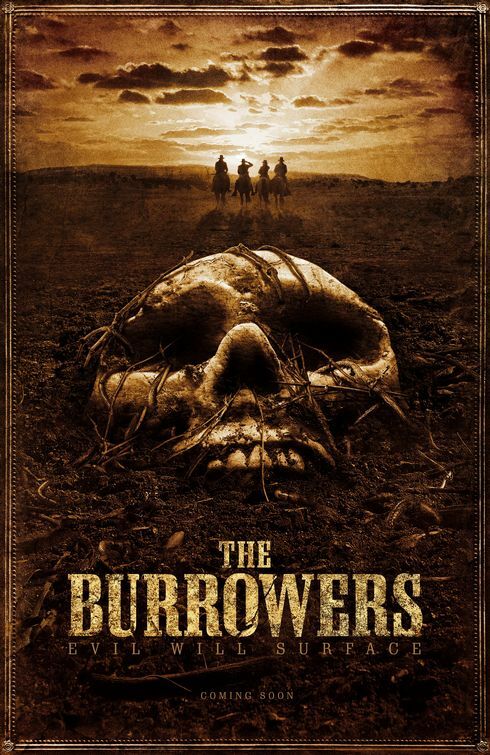 When the men on a pioneer homestead are brutally murdered and the women and children go missing, a posse sets out to find them, assuming they’ve been abducted by Indians. But the truth turns out to be much more horrific. As they find more bodies, it soon becomes clear that something from beneath the ground is brutally attacking humans. 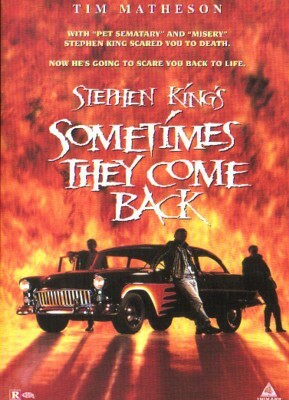 Clancy Brown, William Mapother and Sean Patrick Thomas star in this horror film set in the Wild West. On a desolate farm in the Irish countryside, destitute Dan Reilly (John Lynch) — in return for cold cash — allows his heifers to be part of a genetic study intended to boost bovine fertility and beef output … until the experiment goes awry. 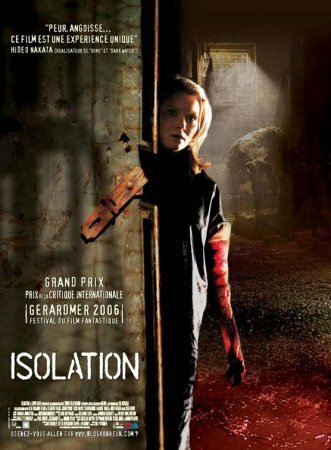 When one of his cows spawns lethal mutants, Dan and a few other unlucky folks suffer the repercussions of meddling with nature in this unsettling chiller also starring Essie Davis and Marcel Iures. 10. 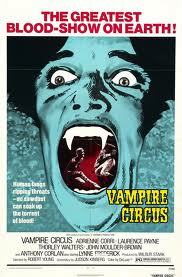 Vampire Circus (1972) HAMMER HORROR! Years after slaying ravenous vampire Count Mitterhaus, residents of a small European village are quarantined by plague, but their boredom is relieved by the arrival of a circus. Their joy turns to terror when the big top unleashes an ancient evil. Hoping to revive Count Mitterhaus and fulfill his dying curse upon the villagers, the vampires operating the circus wreak bloody vengeance until a schoolmaster uncovers their identities. This entry was posted on October 10, 2010 at 11:39 pm and is filed under Events. You can follow any responses to this entry through the RSS 2.0 feed. You can leave a response, or trackback from your own site. Great article. Gives me some movie ideas for this month.